Machete-wielding workmen once hacked their way through dense jungle, toting supplies and construction equipment up a steep mountainside. 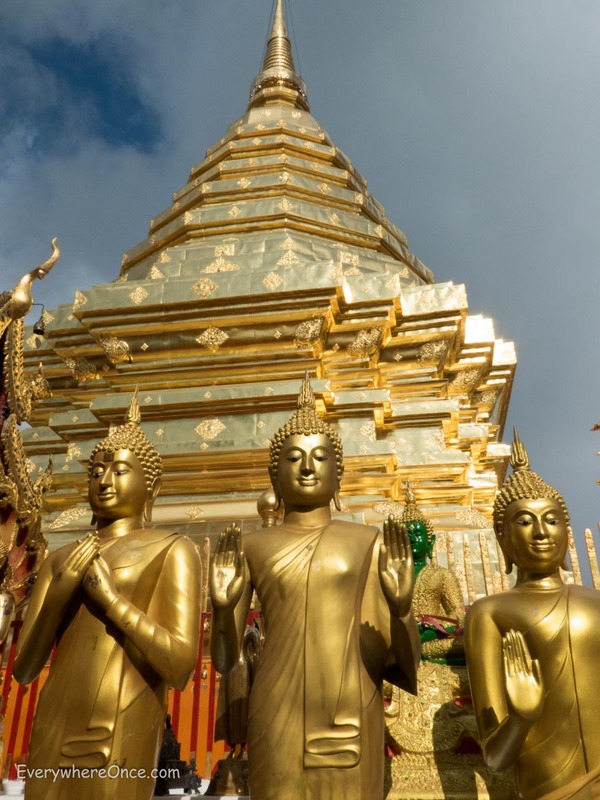 Their backbreaking efforts began in 1383 and produced Wat Phra That, a gleaming Buddhist temple that’s hard for visitors to Chiang Mai to miss. 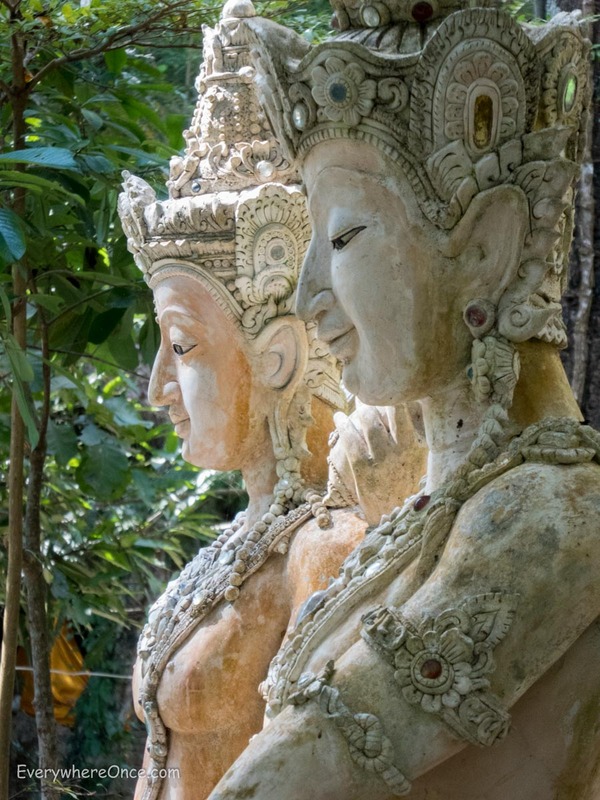 Perched high on Doi (Mount) Suthep, it’s visible from the city and appears on every list of must-see highlights in the area. 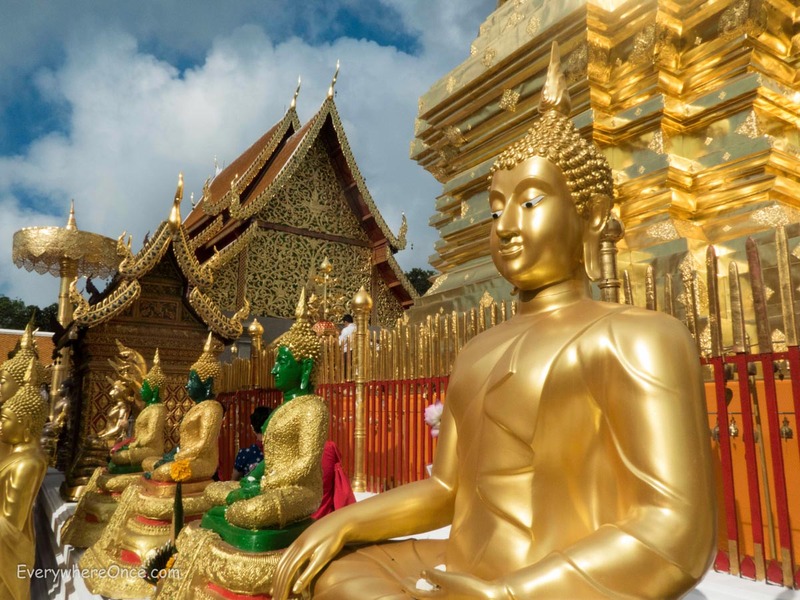 Considered the holiest shrine in northern Thailand, Wat Phra That is undoubtedly an impressive sight. 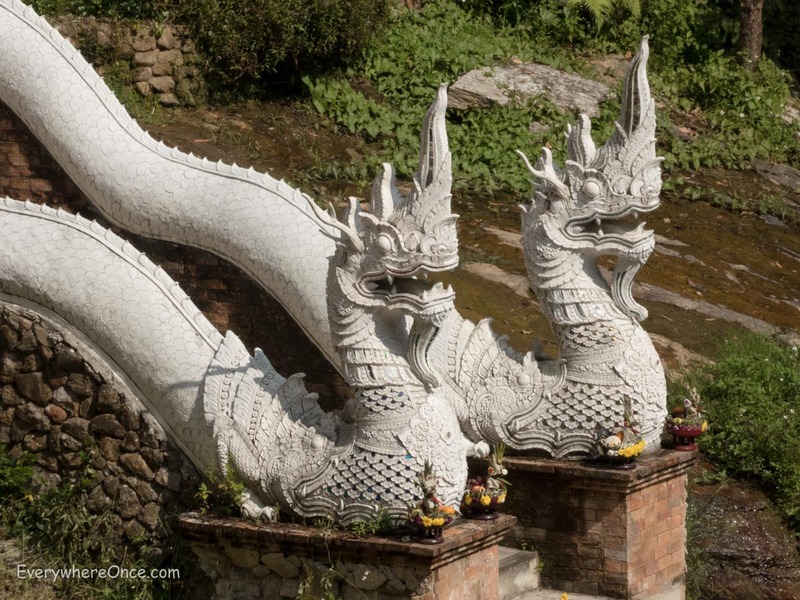 A walkway of more than 300 tiled steps, guarded by colorful, multi-headed serpents, ascends toward the temple. (A tram also goes to the top.) After kicking off our sandals, per Thai custom, and lining them up with the hundreds of other pairs of shoes outside the entrance, we crossed into the complex. The eye-catching focal point is the gilded “prang,” a towering spire rising in the center and bordered by a series of halls and rooms that form a square around it. 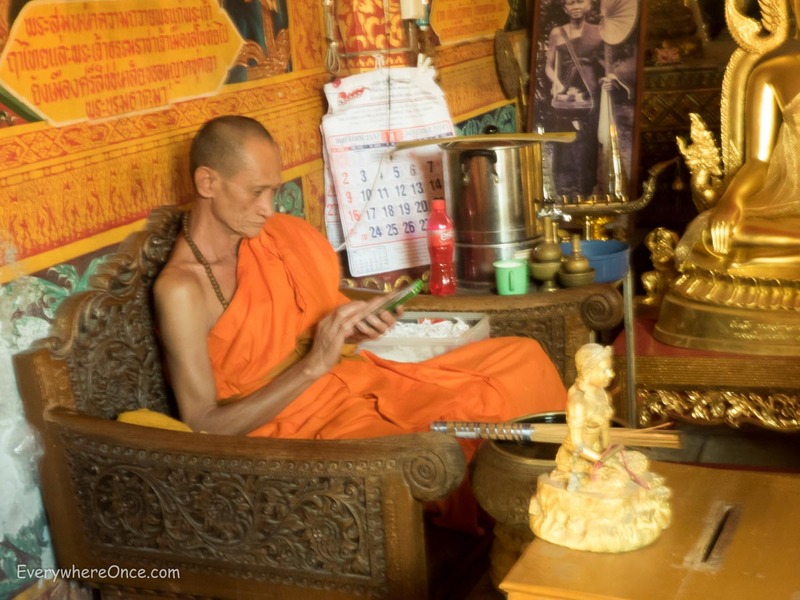 In one small shrine room, a monk in a saffron-colored robe browsed his smart phone before picking up a traditional tool of his trade. 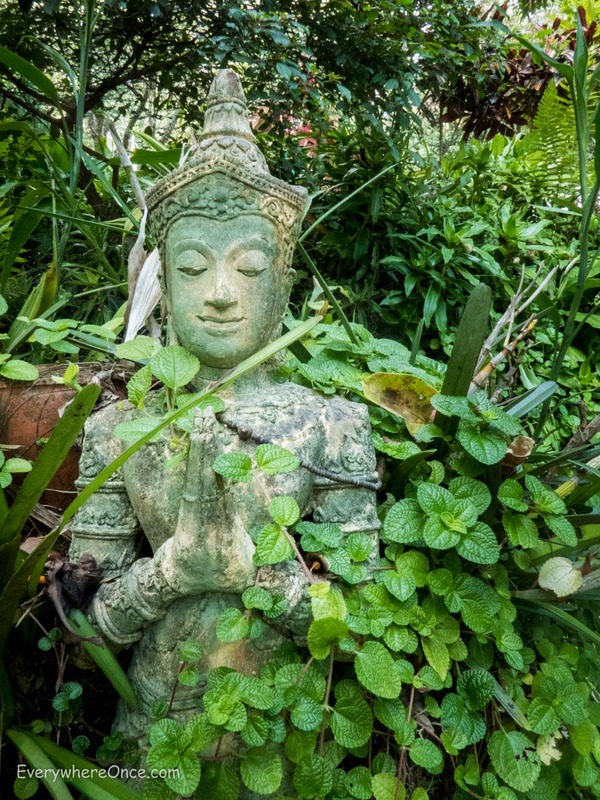 He quickly dipped a cluster of bamboo stripes into a bowl and rained holy water down on us and other visitors standing and kneeling before a statue of Buddha. 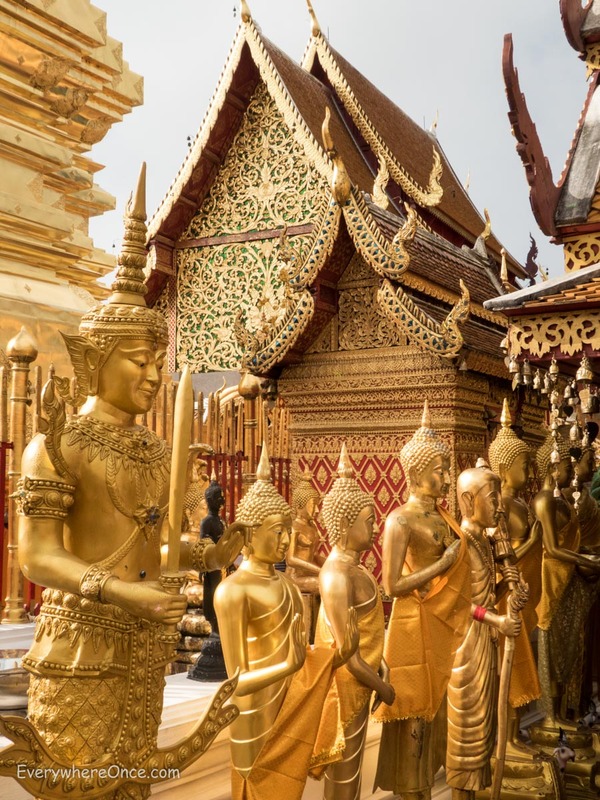 Compared to the opulent, polished perfection of Wat Phra That, the other temple we visited that day is simple, serene, and easily our favorite of the two. Atmospheric Wat Pha Lat could be something out of legend, nestled in the jungle alongside a waterfall. We felt like intrepid explorers as we approached on foot down a deserted, switchback-filled path leading from the main highway. 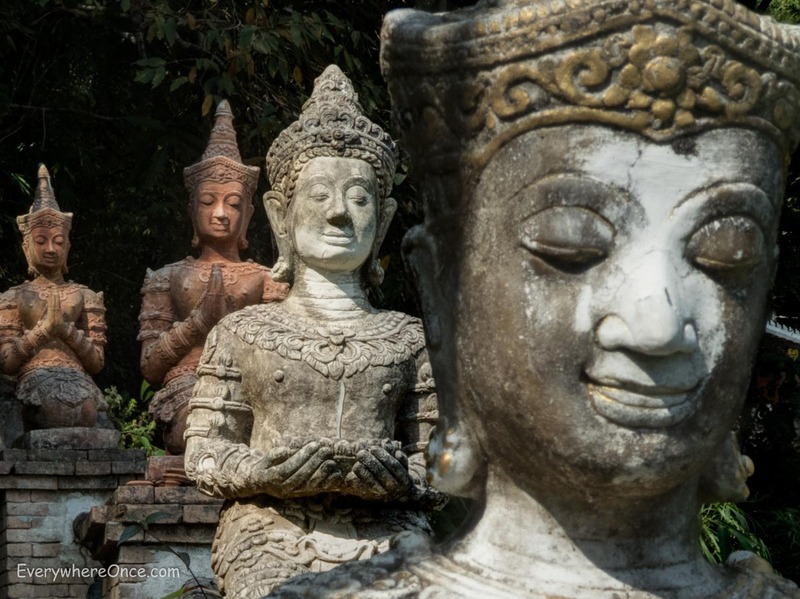 It’s likely we would have missed this centuries-old temple altogether if we hadn’t heard about it from fellow participants in a cooking class the day before. Even the taxi driver who whisked us along the winding road to the top of Doi Suthep didn’t know about Wat Pha Lat. He told us we were the first people to ask to stop there, and he popped into a café for directions. Tour buses roll right on by the two small white temples at the entrance road to Wat Pha Lat, which meant we had the place almost all to ourselves. 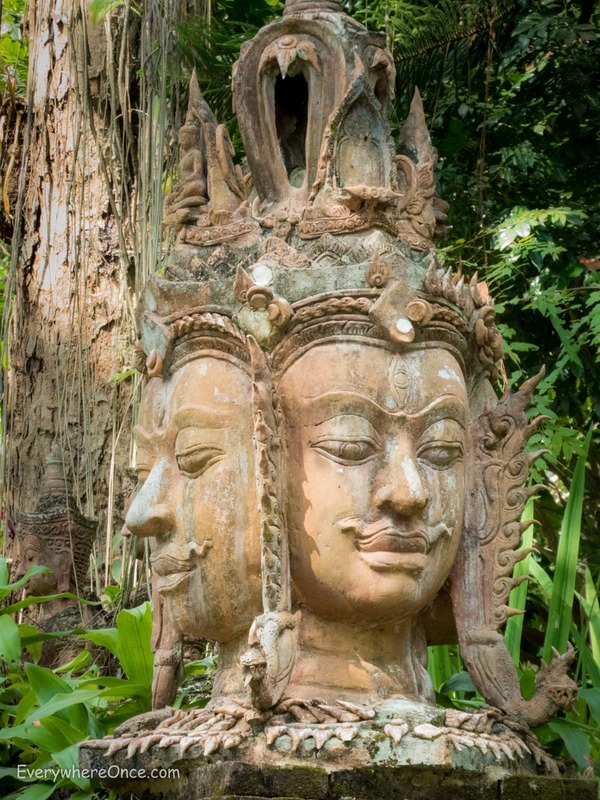 Moss- and vine-covered Buddha figures, statues of elephants and dragons, and other stone carvings adorn the grounds. A series of foot paths and bridges span the flowing water and connect the temple to various platforms and prayer sites. We saw less than a dozen other visitors at this enchanting “lost world” locale, enjoying the solitude before heading back to bustling Chiang Mai, which can be seen sprawling below. 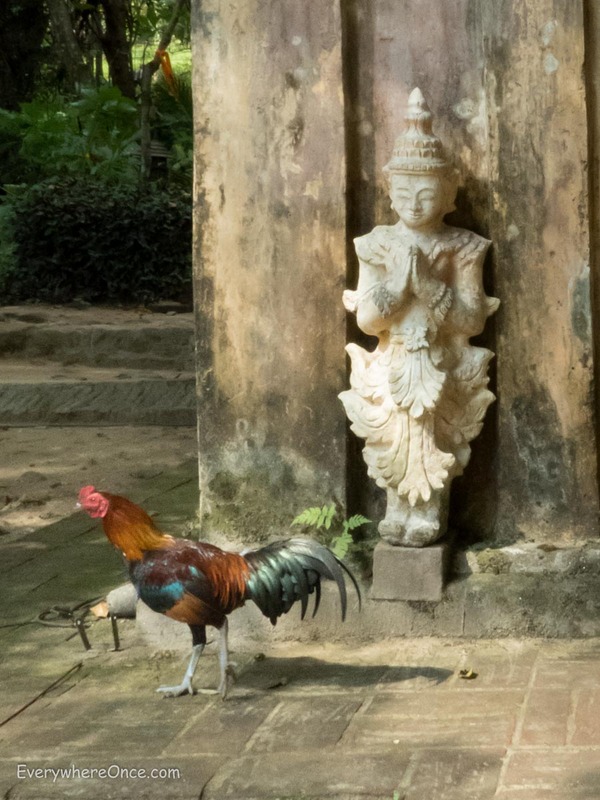 A study in contrasts, both of these temples deserve a visit. But if you want to feel like you’ve discovered something special—and pretend you’re Indiana Jones’ sidekick—don’t miss Wat Pha Lat. Thanks for great bucket list ideas. I hadn’t even heard of Wat Pha Lat. And I meant to add: I also think that the “B-List” attractions that you virtually, or actually, stumble across often end up being the truly memorable places. Thanks for sharing this one. I can’t wait to visit these temples this January! I love your vivid descriptions and photos! Peculiar article, јust ԝhat I needed.